Gavin Gadberry is devoted to serving the legal needs of health care providers and improving the future of health care, especially the long-term care profession. He currently serves as general counsel of and issue lobbyist for the Texas Health Care Association. Gavin is also a member of the American Health Care Association Legal Subcommittee, where he previously served as its chair. His health care practice encompasses government relations, long-term care and health care law, administrative and regulatory law, and business transactions. 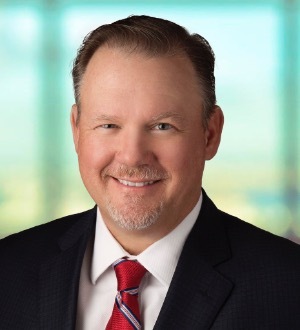 He has a vast amount of experience with facility transactions and coordinating changes of ownership within Texas.Gavin has been a speaker on numerous occasions at the American Health Lawyers Association’s Annual Long-Term Care and the Law Seminar and the Texas Health Care Association’s Summer Meeting and Convention. He is a contributing author to the Long- Term Care Handbook: Regulatory Operational and Financial Guide Post, Second Edition. Gavin received the Chair’s Award at the 2004 Texas Health Care Association Convention for his efforts on tort reform in 2003.When Gavin isn’t traveling, he enjoys spending time with his family and playing tennis. He is also actively involved in his family’s ranching operations in Lipscomb County, Texas. The Five Bar Ranch has been in continuous operation for more than 100 years.